← Istanbul; location, location, location. To continue on the real estate theme, Cappadocia is filled with unique fixer-uppers ever. 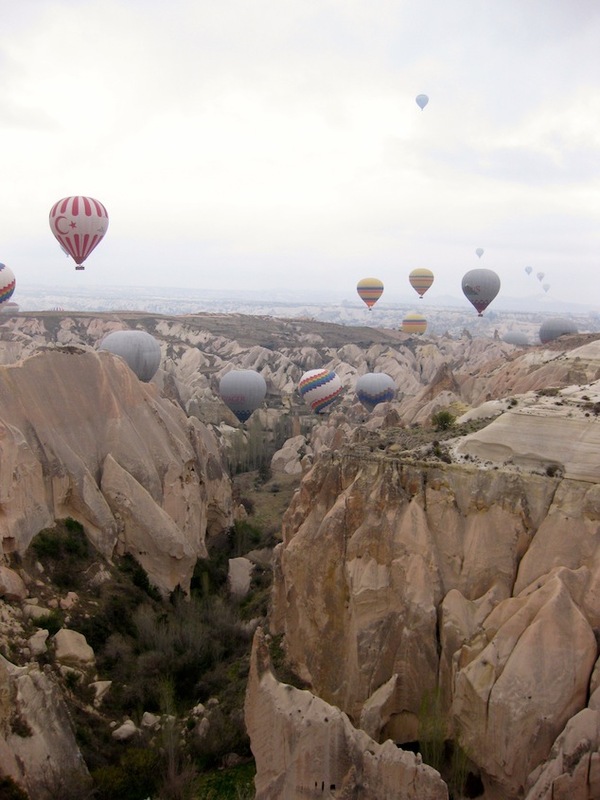 The region around Cappadocia was formed millions of years ago by extensive eruptions of at least three volcanos. Lava, ash and big chunks of other geological sounding stuff formed a landscape that was characterized by two phenomena (I will try not to get highly technical here – mostly because I get lost quickly). The first is that each eruption left layers of stuff of various thicknesses, porosities and constituent components; some layers erode more than others and over the years a strange exotic landscape has been created that is a delight to photographers, hikers, bikers and jerks who drive ATVs. Second, because the rock is porous and easily excavated with even crude implements, thousands of mud hut dwellers moved up to caves that had been carved out of hillsides by wind and water; then they fixed them up by making them bigger and carving their own caves, creating small villages and even towns, increasing the value of the real estate immeasurably. Cappadocia is in the middle of a busy neighbourhood, conquerors come and go regularly, pillaging, looting and making mischief. The permanent residents have been victimized and otherwise badly handled by visiting invaders for more than 2000 years. They got a bit tired of it, so these persecuted homeowners took to digging big holes in the ground, creating hidden underground refuges in bad times when hiding below ground in carefully concealed underground caverns was the best option. In good times, they fixed them up for the storage of food, grain, wine, olive oil and other supplies. There was even room for a few animals, cows, sheep, goats and other bits of walking sustenance. Our first exposure to these fixer-uppers was a UNESCO World heritage, Derinkuyu. First used by the Phrygians in eighth century BC, they were expanded down to a level of 40 meters in some eight levels with kitchens, animal pens, meeting rooms and food/water storage ares. This one even had a special sluiceway for receiving the juice from freshly pressed grapes – from grapes to wine without any handling! 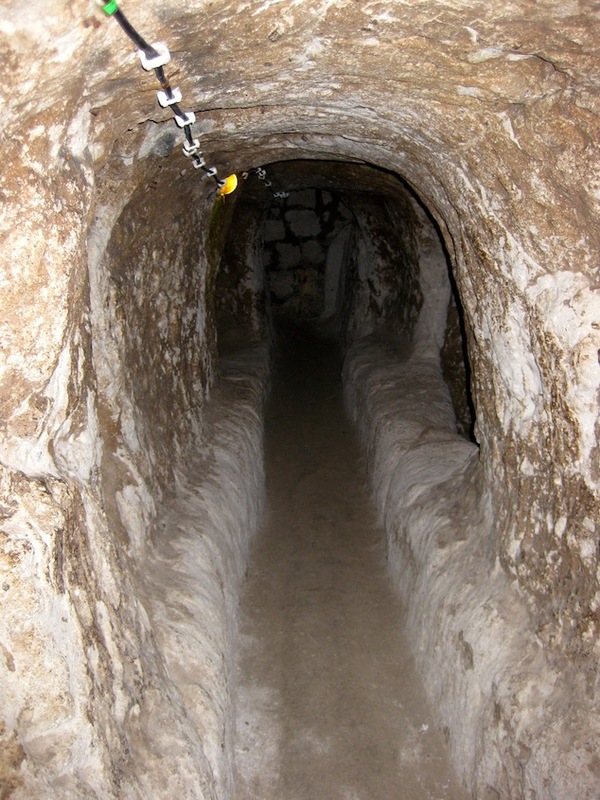 Air vents, entrances and exits were carefully concealed; tunnels allowed passage for only one person at a time making them easily defensible, escape tunnels were prepared for emergencies and stores were set aside for sieges. The Phrygians seemed to have disappeared but we can presume they lasted longer with their caverns than if they had lived up above ground in a mud brick bungalow. It was a tough neighbourhood. 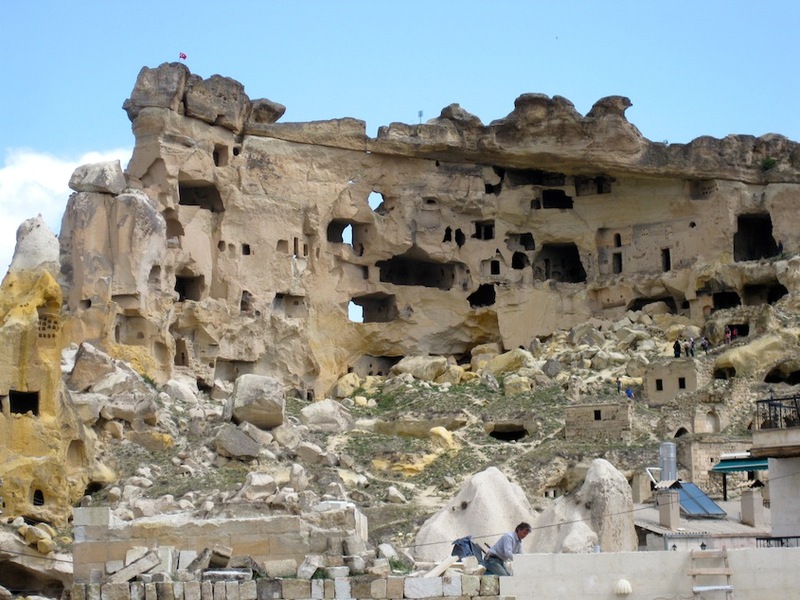 Another fixer upper site is the Goreme open air museum, a full housing development of caves, caverns and holes in the wall, home to an emerging Christian religion. 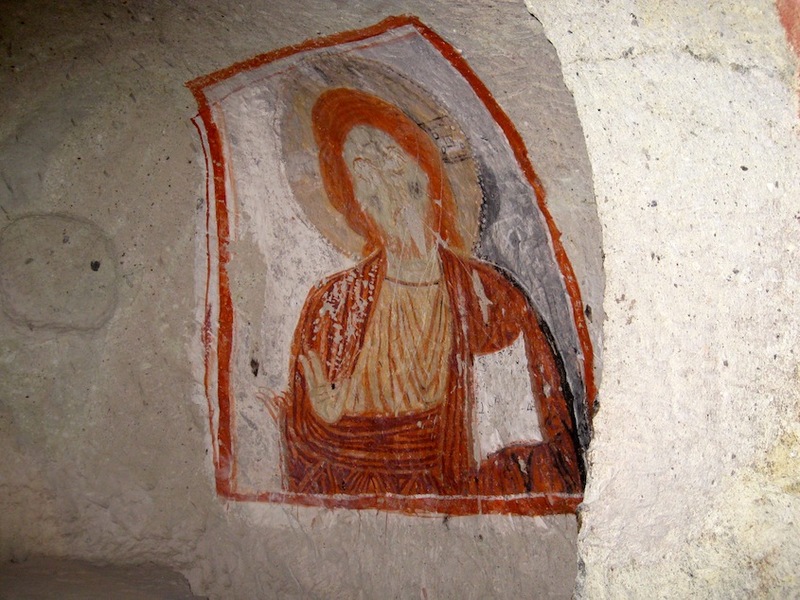 These secret worship sites still bear religious drawings on their walls that date to the 11th Century. The caves and caverns are everywhere. When they wore out, they were recycled into pigeon holes, efficient value retention. The old cave windows were turned into pigeon roosts. Over months, pigeon guano accumulated. Former residents would harvest the guano, use it for fertilizer in their fields. I suspect a few pigeons, the less productive ones, ended in a cooking pot. Very efficient. The latest way to gain further value for these holes in the wall; Cappadocians have been brilliant at capitalizing on it. They’ve turned them into a tourist attraction. And, we’re glad they did, we flock by the thousands to see this unique exhibition of 1000 years of history. We don’t just look into the caves, erosion of this porous and semi-porous landscape over eons has created a landscape that resembles the Grand Canyon, the Moon or some sci-fi fictional place to be explored by Starship Enterprise. Why not see it all from a hot air balloon? Why not indeed. 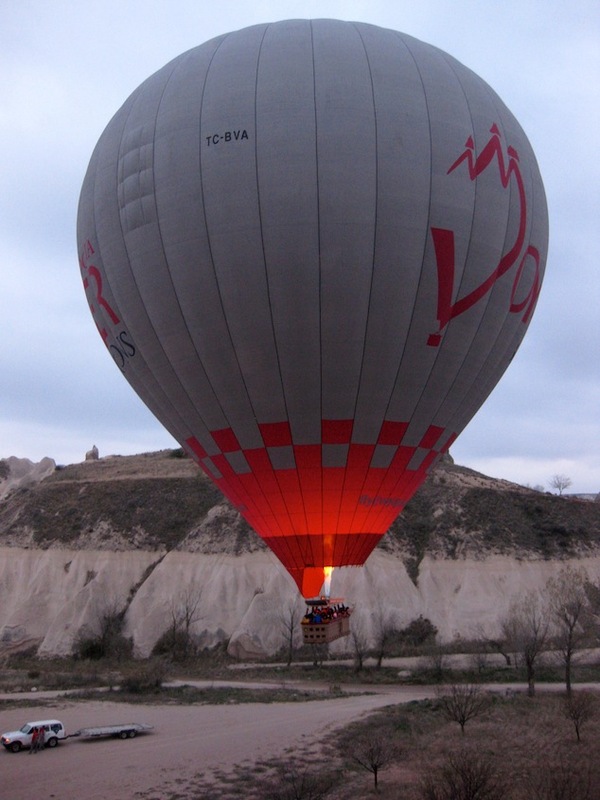 Every morning, several hundred happy tourists plunk down their money and clamber aboard some 50 balloons just before dawn to explore Cappadocia from the air. If you have a fixer-upper, you can even exploit the air rights – it works here. No words can describe the thrill of riding in a balloon at dawn. The quietly serenity is interrupted occasionally by the blast of the gas jets. The chilly air is clear and crisp. Our balloon drifts within meters of the ground, rises to 900 meters to catch the breeze and opens the horizon to a breath-taking vista. The deep cuts in the rock eroded over millennia, the resulting cliffs, deep valleys varied colors of the various rock strata and jagged rock add to the surreal view. Finally, Turks are practical business people. 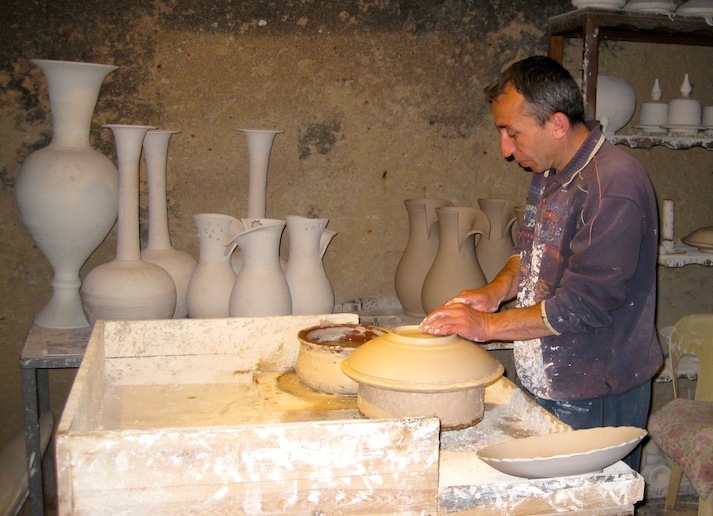 They have turned these caves into workshops for making items of value such as pottery and sales rooms to display the aforementioned pottery – guaranteeing a memorable shopping experience for wide-eyed tourists. Istanbul is a busy intersection of a world of thoroughfares – all transporting goods, services, and people for trade – along with their divergent ideas, ideals, religions and values. One of those thoroughfares crosses Cappadocia, an eternal slowly eroding, constantly-evolving backwoods; it’s been trampled, conquered, settled and resettled for generations. Now, thanks to these unique fixer-uppers, preserved and adapted over the years, we can see, touch and experience the lives of those who have found refuge in caves and caverns over thousands of years. 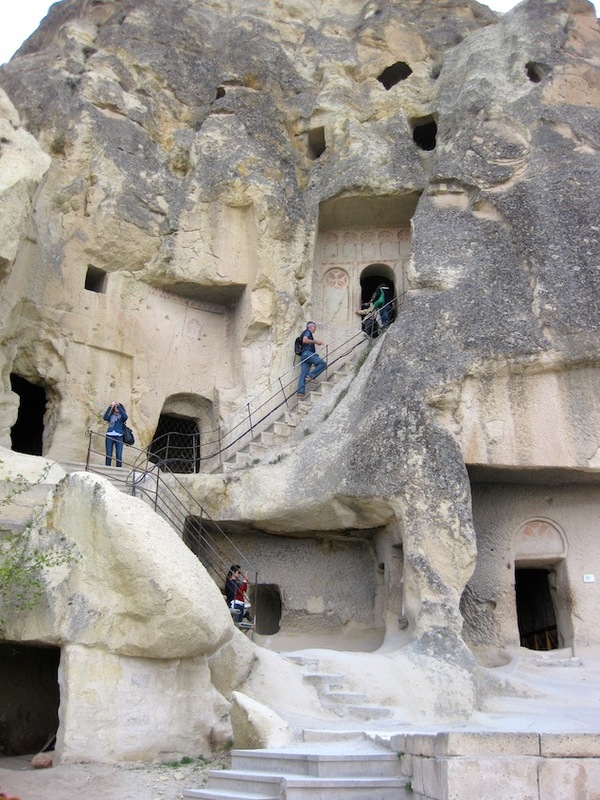 Cappadocians survived the ebbs and flows of wars and warriors by utilizing their unique real estate, adapting to their surroundings and adapting their surroundings to their needs. They have emerged into the sunlight to till the fields and live their lives, interrupted but not extinguished. Today, they have transformed their travails into a story worth telling and worth hearing and seeing. 1 Response to Cappadocia – Unique Fixer-uppers. Sounds fantastic! Not sure why I spent a year living in a campervan when I could have been living in a lava rock cave. Enjoy!